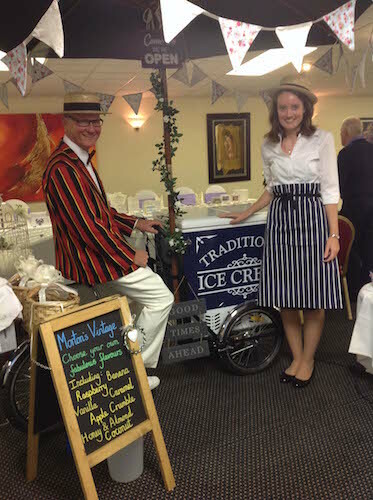 Our traditional victorian ice cream tricycles provide a fantastic addition to your Wedding or special occasion. 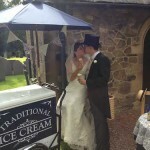 They come in three glorious colours Red, Blue and Cream with coordinating parasols. 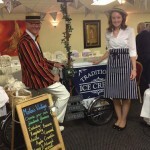 Wedding guests are always blown away by the tricycles which add a touch of theatre to any event. At your wedding they are a fantastic addition at many different points in the day: Whether it be outside the church during the pictures, greeting guests as they arrive at the venue, entertaining guests between the afternoon and evening or instead of a pudding opposite a BBQ or hog roast during the evening. 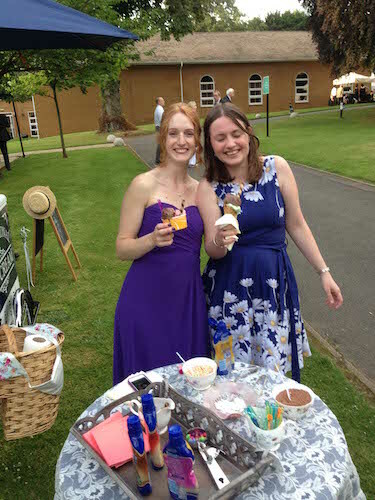 They are so flexible and can be inside or outside your venue serving luxury hand scooped ice cream and sorbet’s, offering up to 40 quality flavours and catering for all dietary needs. 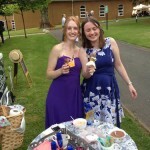 The tricycles are normally hired for a period of 1.5 hours and come packed with your choice of 5 flavours from our extensive selection, of ice creams and sorbets, and of course the famous toppings table offering sauces, sprinkles and sweets. 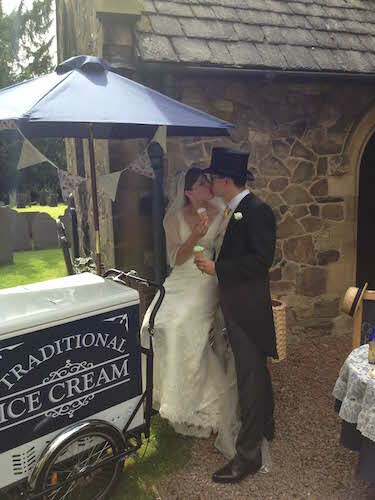 The trike will come loaded with sufficient ice cream, cones and tubs to ensure a plentiful supply for all of your guests, and will be manned by one of our team. For those that like something a bit fruity, Blackcurrants in clotted cream, Strawberrys and cream, Eton mess, Lemon meringue, Apple Crumble, Raspberry, Blackberry beauty, Coconut. And for those that just want something different, Caramel, Pistachio, Eton Mess, Christmas Pudding, Coffee Mocha, Toffee Fudge Fiasco, Heavenly Honeycomb.